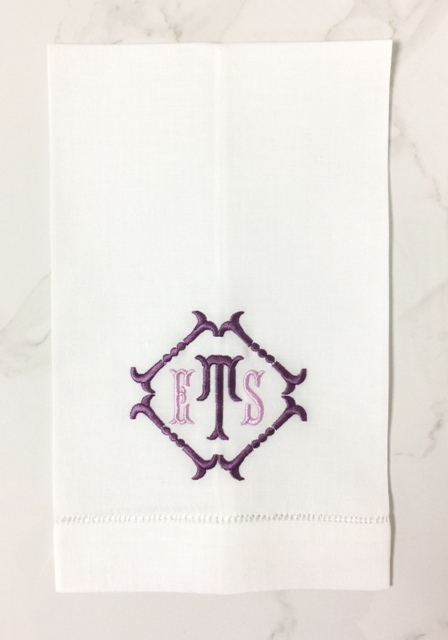 Our latest monogram features a beautiful frame with either a single initial or 3 letter monogram on hemstitch linen guest towels embroidered with any of our embroidery thread colors! For color matching, send a fabric, paint or wallpaper sample for complimentary thread swatches. Guest towel pairs arrives gift boxed with ribbon.